Since every commercial / industrial refrigeration project is different, Bergen Refrigeration will design cooling systems that will fit your organization’s specific needs. 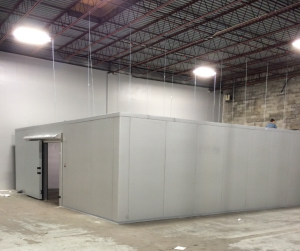 We will design a custom refrigeration system to meet all specifications for any industry or manufacturing process application. Our design team will select the most efficient and modern refrigeration and cooling system to benefit your company and meet your needs. Our staff is skilled at helping you determine your refrigeration requirements and has a great selection of products to choose from, made by the top refrigeration manufacturers in the industry. For more information about commercial / industrial refrigeration design or to speak to a Bergen refrigeration team member about any of our refrigeration or HVAC services, please call us at (973) 779-9977 or email us!